WEDNESDAY, Oct. 11, 2017 (HealthDay News) -- Two experimental vaccines against the deadly Ebola virus are able to trigger an immune response that lasts for at least a year, a new clinical trial has found. Experts said the results give more support to one of the vaccines, in particular. That vaccine, dubbed rVSV-ZEBOV, made headlines last year when it appeared highly effective at preventing Ebola disease in a large clinical trial. That trial was done in Guinea during the Ebola epidemic that swept across several West African nations between 2013 and 2016. The outbreak ultimately killed more than 11,000 people and likely sickened nearly 29,000, according to the U.S. Centers for Disease Control and Prevention. The new study was done in Liberia and enrolled 1,500 adults. Researchers tested rVSV-ZEBOV, along with another experimental vaccine called ChAd3-EBO-Z. 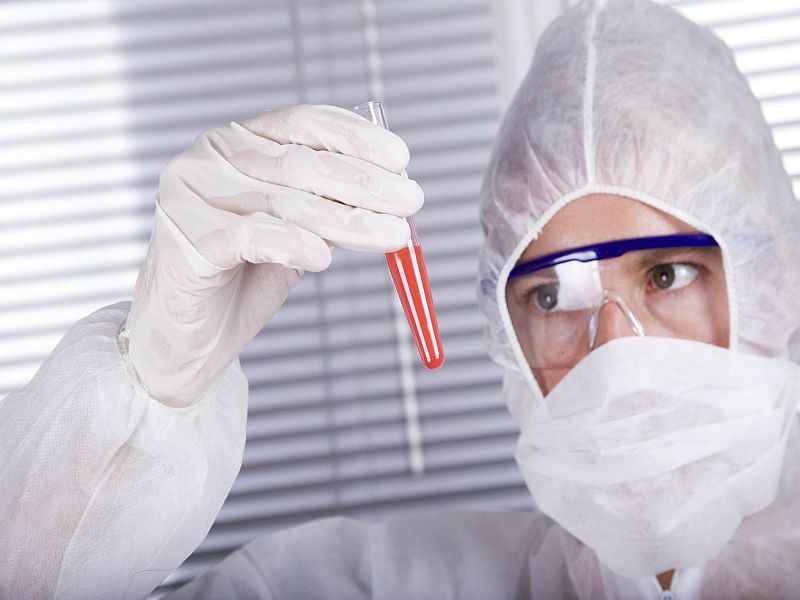 They found that both vaccines elicited an immune system response against Ebola. Almost 84 percent of people given the rVSV-ZEBOV and 71 percent of those given the ChAd3-EBO-Z vaccine developed antibodies against the virus within a month. And most were still showing an immune response after one year. That's the main new finding from the trial, said Thomas Geisbert, an Ebola researcher who was not involved in the study. "This shows there's some durability of the immune response, which is important," said Geisbert, a professor of microbiology and immunology at the University of Texas Medical Branch in Galveston. He added, though, that it's not clear how significant that lasting immune response might be. Dr. Clifford Lane, the senior researcher on the new study, agreed. "We don't know what level of antibody response is needed to prevent Ebola disease," explained Lane, of the U.S. National Institute of Allergy and Infectious Diseases (NIAID). The researchers were not able to study the vaccines' ability to prevent the disease because the Liberia epidemic ended before the trial got to that stage. Still, Geisbert said, coupled with the earlier trial, the findings "solidify rVSV-ZEBOV as the leading Ebola vaccine candidate." He said the findings also support the vaccine's safety. The most common side effects were temporary headache, muscle pain and fever. Ebola has been recognized since 1976, and has become infamous for its gruesome lethality -- in some cases, causing patients to hemorrhage internally and externally. On average, the fatality rate is 50 percent, according to the World Health Organization. In the trial reported last year, researchers found that the rVSV-ZEBOV vaccine was "100 percent" effective when given in a "ring vaccination" approach. It works like this: Once an Ebola infection is confirmed, health workers try to contact the victim's friends, family and others who might have been exposed, so they can be vaccinated. It's not entirely clear how an effective vaccine would be deployed, said Dr. Jesse Goodman, an infectious disease specialist at Georgetown University Medical Center in Washington, D.C.
Ring vaccination is one way, he said. Or if an outbreak were larger, he added, it might be best to vaccinate people in a given geographic area. Pre-emptively vaccinating health care workers who will be exposed to Ebola patients is another strategy, said Goodman, who had no role in the current study. The rVSV-ZEBOV vaccine is made from an animal virus genetically engineered to carry an Ebola virus gene, according to NIAID. It was developed by the Public Health Agency of Canada. The vaccine has not yet been approved by any regulatory agency. But Merck, its manufacturer, reached an agreement with the nonprofit Gavi, the Vaccine Alliance, to stockpile 300,000 doses in advance of another outbreak. "Ideally," Goodman said, "we'd like to have more than one effective vaccine." That's partly because the rVSV-ZEBOV vaccine targets only one Ebola strain. According to Goodman, the vaccine trials show that it's possible to run rigorous studies during an outbreak. Experimental vaccines were in existence when the recent outbreak struck because scientists had been developing them as a bioterror defense. But it took time to get the trials running. The current study launched in February 2015 -- which ended up being too late to get "more definitive answers," Goodman pointed out. With more advance planning, he said, future trials could get going sooner. "We need to do even better next time," Goodman said. The study appears in the Oct. 12 issue of the New England Journal of Medicine.